2016? Yes, that’s right, we’re still not finished with that year. This time we’re going to look at some ‘problematic’ middle volumes of long-running manga series: how come first volumes and, on rare occasions, final volumes get all the media attention while all the volumes in between get none? If I remember correctly, Kiyohiko Azuma’s Yotsuba&! vol. 13 was included on only one best-of-2016 list and consequently didn’t make the master list, while Karuho Shiina’s Kimi ni todoke volumes 23 and 24 were not nominated at all but ranked among the best-selling shōjo manga of 2015 in Japan. Wouldn’t it be possible for a manga series to start out strong and then get even better in the course of the series, as its creator ‘finds his/her groove’? Of course, this kind of progress is a rare thing. Most manga series are on a more or less steady downward slope, their creators eventually running out of ideas but still milking the proverbial cow until the readers’ loyalty is exhausted and the series cancelled. Another reason for ignoring middle volumes is that reviews of them work differently regarding their purpose as reading recommendations; typically, potential readers want to know whether the first volume is worth reading, and when they read it they make up their own minds about proceeding to the next volume. Still, some middle volumes stand out from the rest, some are good jumping-on points, and some are nothing special but keep up the high quality of a series and are simply better than most other manga volumes of the year, and consequently deserve a spot on a best-of list. So let’s talk more about middle volumes. 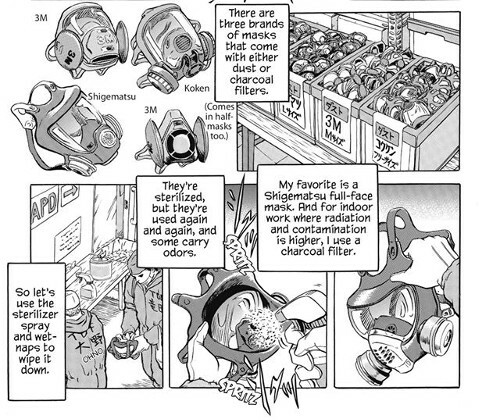 Previously in Yotsuba&! : Yotsuba is a five year old girl living with her single father. Some people say each Yotsuba&! chapter is self-contained and they can be read in any order, but then you would lose track of the ever-growing cast (the neighbours’ daughters, their respective friends, and so on) and not get the references to earlier episodes, such as the camping trip in the previous volume. There’s one episode that isn’t primarily humoristic in tone, as Yotsuba wakes up at night, doesn’t find her father sleeping next to her and wanders around scared in the dark and slightly creepy house. 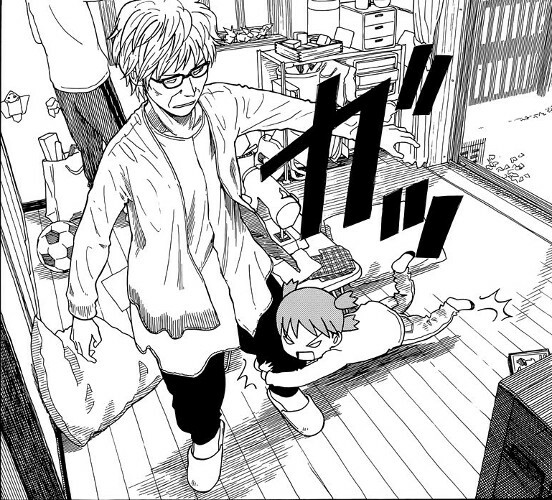 Yotsuba’s grandmother is introduced, the only character (besides Yotsuba’s father’s friend Yanda) who isn’t overly friendly to her. It’s Yotsuba’s father’s mother, of course, as Yotsuba’s biological ancestry remains a mystery. In the last episode, Yotsuba and her father have a make-believe swordfight, but the imaginary weapons are visualised for the readers to see. A seemingly insignificant scene is referenced much later: in the beginning of the volume, a little bird hops towards Yotsuba on the street as if to greet her, and several chapters later, Yotsuba sees it again when she is with her grandmother who teaches her bird names. The vignettes at the end of each chapter sometimes add twists to the respective episode, as in the first one of this volume: in the beginning of the chapter, Yotsuba gives a stick from her camping trip to the neighbors’ girl Asagi who doesn’t know what to do with it, but in the closing vignette, she has hung it on the wall as a decorative sort of key holder. Overall, this is an above-average volume in an above-average series. On this level, the release of every new volume should be given attention. 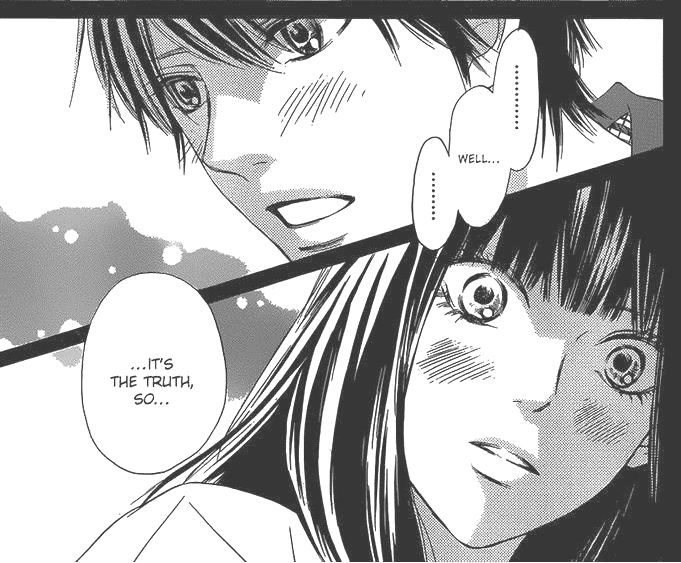 Previously in Kimi ni todoke: Sawako and her best friends Yano and Yoshida have at last found boyfriends, but as they enter their final year of high school, the threat of separation due to different university and career choices looms over all of them. The last two volumes focused on Yano and Yoshida, but in vol. 24 we’re more or less back on track as the actual protagonist Sawako is once more at the center of the story. Sawako realises she wants to go away for university, but she is afraid of admitting that to her boyfriend. And that is, basically, what happens in this volume. When re-reading the entire series up to this volume, I was surprised how fast-paced the first 2-3 volumes seem, and how glacial the pace has become now. As noted before, Karuho Shiina largely avoids the danger of repetition inherent in a ‘talking heads’ type of story by employing ever-changing page layouts. On the other hand, sometimes the character proportions are still slightly off, and I can’t help but feel that a little sloppiness has crept into the art. As strong as the manga series is overall, at this point it has been manoeuvred into somewhat of a trough, and it remains to be seen if it rebounds for the final six volumes. Are the manga that almost everyone put on their best-comics-of-2016 lists really so awesome? (Spoiler: yes, they are.) Or was the actually best manga a completely different one that was overlooked by most? In this little two-part blog post [EDIT: read part 2 here] I’ll review two titles from each of those categories. Orange is the highest-ranked manga in the aggregate ranking of 2016 year-end lists, so it certainly is the most popular among critics. But is it also the best? If you only go by its synopsis, you wouldn’t think so: 16-year old Naho mysteriously starts receiving letters from the future, written by herself at age 26. The letters are mainly concerned with Naho’s new classmate Kakeru, who will die next year, and adult Naho wants teenage Naho to prevent this. 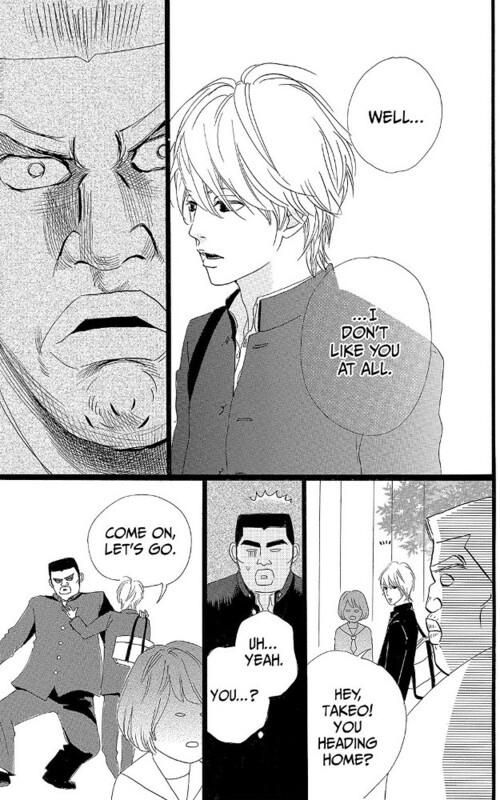 Magically travelling back to one’s teenage days is not a particularly original premise for a manga – cf. the recent ReLIFE by Yayoisō and 31 I Dream by Arina Tanemura, and of course Jirō Taniguchi’s 1990s masterpiece, A Distant Neighborhood. The new spin in Orange is that 26-year old Naho doesn’t travel back in time; she only sends letters but can’t control what her 16-year old self does, and 16-year old Naho doesn’t know anything about her future except for what she reads in the letters. This makes for an ideal starting point for the compelling exploration of a theme that was also central to Taniguchi: regret. One could even argue this works better in Orange, because although 16-year old Naho knows what she is supposed to do (according to the advice in the letters), she often can’t bring herself to do it, or decides against it, or simply misses the opportunity. The letters don’t change who she is; they don’t turn her into another, more courageous, person. Add to that some gorgeous artwork (masterly use of screen tones!) and you get an almost perfect manga. 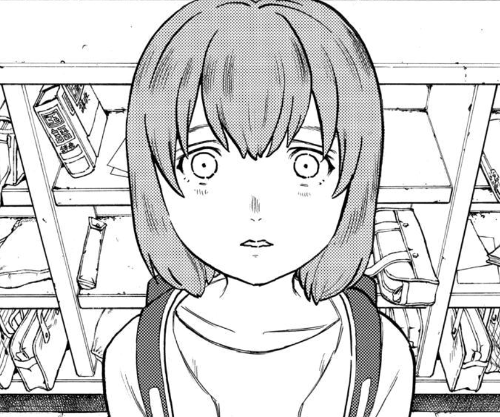 Almost, but not quite: what took me by surprise was that the story is partially set in the time of adult Naho, and – not unlike the much-reviled epilogue to the final Harry Potter novel – I don’t think this works all that well. 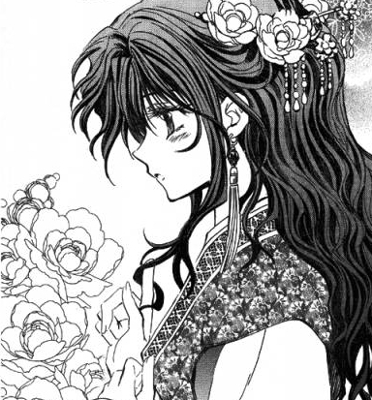 While the manga demographic terms of shōjo and josei are often problematic, this distinction might be at the core of the problem here: a reader can identify with either Naho the wife and mother or Naho the high schooler, but probably not both. Another potentially problematic element is the unlikely plot device of sending letters back in time in an otherwise realistic setting, which as of vol. 1 hasn’t been explained yet. 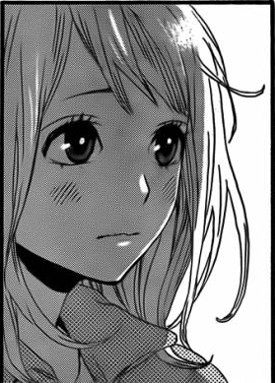 An unconvincing explanation at the end can still ruin a series that had been good up to this point (I’m looking at you, Nobuaki Kanazawa), so we’ll have to wait and see how this is handled in the four remaining volumes of Orange. Ostensibly, this penultimate volume of Knights of Sidonia has little to do with 2016: the original Japanese tankōbon was published in 2015 already and this German translation only this year. However, the 15th and final volume, which is yet to be published in German, came out in the US last year, so I would have thought the conclusion of the series would make a bigger impact on the Western manga scene. Instead it seems to have gone by unnoticed – it wasn’t on any of the best manga/comics of 2016 lists -, which is a shame because of the historic significance in the field of science-fiction manga that this series has already earned itself due to its scale (surpassing Tsutomu Nihei’s earlier magnum opus, Blame!, by 5 volumes), its ambitious genre-bending, and its modernisation of the venerable mecha genre. I’ve sung the praises of the series before, but how does a a single volume hold up when judged individually? In the case of vol. 14, it’s an above-average volume because many exciting things happen in it: there’s an alien infiltrator aboard the mothership Sidonia, Mrs Hiyama the talking bear makes several appearances, we get to know the enigmatic captain Kobayashi better, we even learn something about protagonist Tanikaze’s origin, Tanikaze gets a new mecha model, etc. 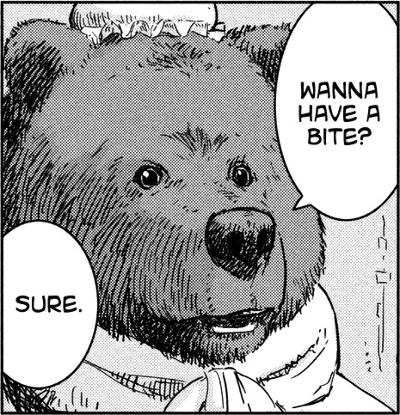 That being said, Knights of Sidonia might be a case of the whole being greater than the sum of its parts – or rather, being precisely the sum of its parts, with each new volume adding to the enjoyment of reading, rather than merely replicating it. For each awesome scene, there’s a sequence where it’s hard to figure out what’s going on (particularly the space fights), or an unlikely twist that’s only there for shock value. But put together, there’s a lot of awesomeness over the course of this series. Towards every end of year (and shortly afterwards), lots of people publicly share their opinion on what the best comics of that year were in the form of best-of lists. Aggregating these lists into one ‘master list’ or ‘meta list’ might yield, if one believes in the ‘wisdom of crowds’, the best of the best. …and then there would be lots of titles found on three or fewer lists. The advantages of this second meta list become apparent: there are fewer ties, showing that e.g. Patience is far more popular than Monstress even though they are both on the same rank on the first list. Rosalie Lightning and Monstress even swap their relative positions, because the latter was included in more lists but on lower ranks. The biggest surprise, though, is that Megg & Mogg makes almost makes the top 20 in the 2nd meta list – it is found on only three lists, but always on high ranks – whereas Black Panther disappears (or more precisely, drops out of the top 25 to rank 27 28). Personally I find it interesting (and rather sad) that only six seven lists (Goodreads, Derek’s at The Comics Alternative, Amazon, Graphixia, Comic Report, Comicgate and Chicago Public Library) included a manga along with non-manga comics. Apart from Orange, Punpun, and A Silent Voice, the only other manga further down on the meta list, due to their inclusion in two or three lists four or fewer lists, are Princess Jellyfish (35), Assassination Classroom by Yūsei Matsui (36), One-Punch Man by Yusuke Murata and One (34 37), and Wandering Island by Kenji Tsuruta (49) I Am a Hero (40), plus a few others that didn’t make the top 50. The two three highest-ranked German comics just missed the top 30: Madgermanes by Birgit Weyhe (32), Röhner by Max Baitinger (tied for 32), and Didi & Stulle by Fil (34 37). Adventures in Poor Taste (manga), Amazon, Autostraddle, Barnes & Noble: New Manga / Ongoing Manga / Comics & Graphic Novels, The Beat (multiple mentions only), Best and Worst Manga of 2016 Results – Comic-Con International (first 4 categories only), Chicago Public Library, ComFor (German), Comicgate (German), Comic Report (German; multiple mentions only), ComicsAlliance, The Comics Alternative (counting Andy’s and Derek’s as two separate lists), Forbes, Goodreads, Graphixia (first 2 categories only), The Guardian, High-Low (Rob Clough), How To Love Comics, io9, NPR, Odyssey (Rachel Freeman), Paste, Publishers Weekly (Best Books 2016, ‘Comics’ category), Rolling Stone (German), School Library Journal, Sumikai (German), Slate, Tagesspiegel (German), Unwinnable, Vox.com, Vulture, Washington Post, Women Write About Comics. Did I overlook a noteworthy list? Tell me in the comments.